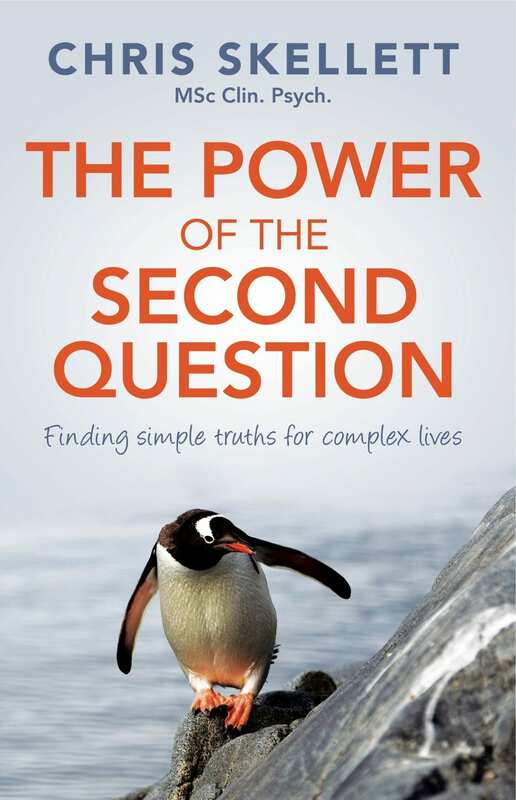 In The Power of the Second Question, popular psychologist and author Chris Skellett clearly shows how you can easily harness the power of your personal reflection to capture the ‘simple truths’ about your world. Each concise chapter suggests ideas, gives examples and reviews the importance of personal insight and celebrating the ‘aha’ moments. At the end of the process, you will have developed a much broader appreciation of who you are and what you have learned along life’s journey, enabling you to reset your life’s compass and pursue a life of renewed purpose and meaning. An experienced clinician for over 30 years, Chris has expert communication skills and a practical knowledge of what matters beyond the theory, in real practice. This book sets out simply how readers can make their lives better and happier.